OBD2 Scan Tools vs. Going to a Mechanic: Which is better? What Does an OBD2 Scanner Do? Wired versus Wireless OBD2 Scanner – Which Should You Use? How Do You Plug In an OBD2 Scanner? How Do You Pair an OBD2 Scanner with Bluetooth? What Do the OBD-II Error Codes Mean? What Is the Difference Between OBD1 and OBD2 Code Readers? 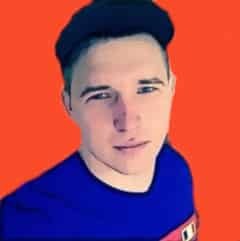 Hey there, Matt here. Today we’re going to give our help you choose the best scan tool for home mechanics. You got to love cheap scan tools. There was a time when vehicle scanners and code readers can only be accessed by high-level technicians and engineers. But now, the advancement of mobile technology has enabled manufacturers to come up with affordable and easy-to-use OBD2 scan tools for the home mechanic. If you didn’t know already, you can now buy and Android Scanners or iPhone Scanners for $20 to $100 which will run complete system scans on your vehicle and help diagnose and repair that pesky Check Engine Light. Mechanics and automotive technicians are here to stay, even if the entire automotive industry shifts to electric vehicles or autonomous cars. These people spent a lot of time, money, and energy to earn a certification in automotive maintenance and repair. It may be hard to find a cheap and decent mechanic, but it’s harder to find someone who really knows what they’re doing, and that’s an ugly fact. There’s also a lot of mechanic work that the average guy just can’t do because of lack of tools or shop space. So is a OBD2 diagnostic tool still worth it? Absolutely! I’ve seen mechanics charging up to $50 just for the initial scan. You can buy a scanner for $20 that does the same thing and works for multiple vehicles! Sure, you can still go to a mechanic even if you have your own scan tool. In fact, scanning the CPU is just the first step in the diagnosis procedure. The computer may have an error code pointing to a fault in the injector system, but the problem can be caused by many things such as a clogged fuel line, dirty injectors, or faulty spark plug. The scan tool will give you a general overview the problem. But qualified mechanics can help pinpoint the exact source of the fault code. Diagnostic tools will provide a “DTC” or “Diagnostic Trouble Code,” you’ll then need to lookup the DTC to see where the issue. But there are times when a check engine light could only mean a sensor that needs to be replaced, or probably something as mundane as a faulty or leaking fuel cap. Both problems can be addressed by buying a new sensor or fuel cap, both of which you can do in the comforts of your own home or garage. And this is where the best scan tools for home mechanics will enter the fray. Me and the rest of the team spent hours testing all the scan tools at our disposal. We selected the most affordable and cheapest scan tool that will give other OBD2 scanners a run for the money. Most important of all is the easy-to-use nature. Not every car owner knows a thing or two about cars. Here are 5 of the top scan tools for DIY mechanics. When we say cheap scan tools, we really mean it. 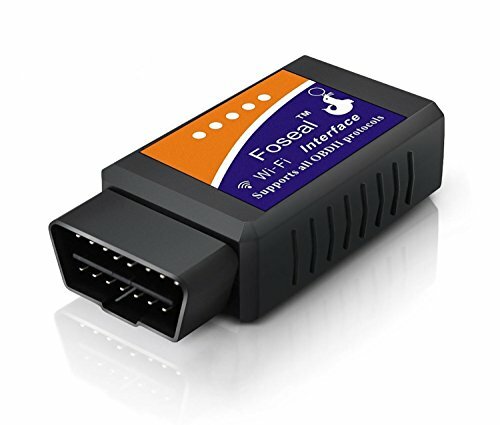 Feast your eyes on the Foseal Car Wi-Fi OBD2 Scan Tool. This nifty gadget works via Wi-Fi connection. This means it can pair easily with any Android, Windows, or iOS smartphones. Terrific diagnostic scanner that works over WiFi connection with most smartphones. Reads and clear common trouble codes. Low priced. Now, should you choose a Wi-Fi scanner or Bluetooth scanner? It depends on the smartphone/table that you’re using. If you have an iPhone, you’ll need the Wi-Fi edition… but if you have an Android, you can use either Bluetooth OR WiFi. Best of all it’s priced at a steal in the world of OBD-II vehicle scanners. This scan tool can read and clear diagnostic trouble codes in any import or domestic vehicle manufactured from 1996. It can reset the check engine light and display current sensor data. It is compatible with all known OBD2 protocols including ISO15765-4 CAN-BUS and SAE J1939 CAN. All of these numbers may sound meaningless to the ordinary Joe, but this simply means it will work with all vehicles using the OBD2 protocol. All you need is to download a free or paid version of any OBD2 app to your Apple or Android device. Plug the Foseal scan tool in the OBD2 port, pair your smartphone/tablet with the Foseal, and you’re ready to go! The scanner will proceed to scan the system and determine the fault codes. If you run into an issue with the Foseal dropping wireless connection to your iOS device, simply disconnecting and reconnecting it should do the trick! In terms of price, the BAFX costs a couple more bucks than the Foseal and uses Bluetooth to communicate with Android devices (sorry iPhone users!). Now I’m personally an Android user myself and what I love the fact that this scanner uses the Bluetooth protocol. It’s faster and more reliable than Wi-Fi and doesn’t drop your home internet connection. The BAFX took a close second simply for the fact that the Bluetooth version only works with Android devices. However if you have an Android this is the best scanner you can get for the value! Works with most vehicles made after 1996, uses lightning fast Bluetooth, and reads and clears most codes. Just like the Fosesal, the BAFX Products OBD2 Reader can read and clear the check engine light in your vehicle. It is engineered to work with all consumer sedans, trucks, and sport-utility vehicles sold in the USA from 1996 onwards. It will even work with newer vehicles that support the J1850 or CAN-BUS protocol. 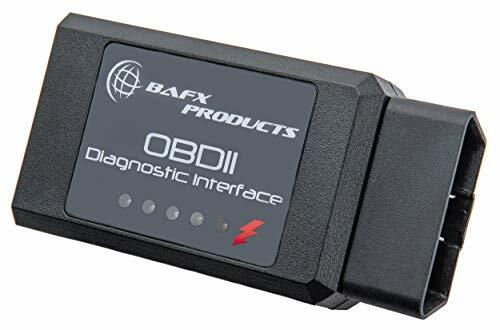 With that being said, the BAFX Products scan tool is compatible with all known OBD2 protocols, including CAN-BUS on most German, Japanese, and domestic luxury vehicles. Besides the affordable price, we also like the impressive 2-year warranty. It deserves a place in this list because it’s one of our favorite cheap OBD2 diagnostic readers! You’ll need an app to connect your smartphone to this device. We recommend Torque Lite, Torque Pro or Dash Command. The Autel MaxiLink is different compared to the Foseal and BAFX Products. This is a wired scan tool that comes with its own TFT color screen. No need to use a smartphone or mess around with WiFi or Bluetooth connectivity! Plug this baby in and you’re ready to determine the cause of that pesky check engine light! And while the Autel MaxiLink OBD2 Scanner cost a few more bucks than the Foseal and BAFX, it’s still a pretty good price. This can tool will work on all 1996 and newer import or domestic vehicles. It can scan, read, and clear diagnostic trouble codes. It can perform a one-touch I/M readiness check for emissions testing and monitoring. It can retrieve both generic and manufacturer specific trouble codes. Low priced, corded scanner from the #1 brand of OBD2 tool makers, Autel. Checks and clears engine codes, 1 click emissions-readiness scan, works on most vehicles. If that’s not enough, the Autel MaxiLink ML319 OBDII Scanner also comes with a 2-year warranty. If you’re the type of person who prefers to scan trouble codes using the old-school way, check out the Autel MaxiLink. Even with the plethora of wireless Bluetooth or WIFI scanners, there’s something about wired OBD2 scan tools that makes them stand out. They are incredibly easy to use no matter if you have an import sedan or domestic pickup truck. If you want a simple plug-and-diagnose tool, this works great. The AL319 version does NOT diagnose ABS or SRS (Braking and Airbag) codes or show live engine data… If those are features you need in a scanner, get the AL619 edition. It’s about $100 more, but well worth the money if you’re diagnosing “Enhanced” codes and not just generic engine codes. That’s right, it costs about 5x the other scanners on this list! Now here’s the reason for the high price (and why it might be worth it to you) – It uses Bluetooth and is licensed to work with iOS AND Android devices, plus it comes with it’s own App Software (so you don’t have to purchase one like with the FoSeal and BAFX). First off, the BlueDriver is officially licensed and certified for both Apple and Android devices. Your purchase will also come with a free BlueDriver app that is designed to work exclusively with your BlueDriver scan tool. So if you’ve got a collection of smartphones in your family, or you’re sick of using Wi-Fi and want to upgrade to blazing fast Bluetooth, this is a great option. On top of that, purchase of the Bluedriver comes with 24/7 Tech support (call em at: 866-302-0054), 2 year warranty, and access to the Repair Reports database which has over 6+ million fixes to the codes. More expensive scanner that works with both iOS and Android. 2 year warranty, 24/7 tech support, and supports Enhanced Codes. It also earns the distinction of being a professional-grade scan tool. It can not only scan and diagnose the cause of the error code or check engine light. It can give you a repair report that will list possible fixes to solve the problem. Knowing the error code is one thing, but knowing the right fix is a different story. With the BlueDriver Bluetooth Professional, you can have the best of both worlds. There’s no need to endlessly search on Google to find the possible solutions to those annoying check engine codes! Wow, we used to pay $1,000s for tools with those features. As you can see, the Bluedriver supports a ton of Enhanced DTCs for my Mustang! The BlueDriver will also work with any type of free OBD2 app. But it’s designed to work with the included app, so there is no need to download or purchase a separate OBD app on Google Play or the Apple Store. An OBD2 scanner is a useful tool for troubleshooting mechanical and electrical issues with a vehicle. You can now find handheld OBD-II scanners at affordable prices, allowing home mechanics to view error codes. However, you may have a few questions about how these devices work. An OBD2 scanner is used to read error codes generated by a vehicle’s onboard diagnostics system. The OBD system monitors major systems. It can detect issues with the fuel system, engine, AC system, and other components. The universal standard used for the OBD system is called “OBD2” and “OBD-II”. There are two primary types of OBD2 devices. You can use a code reader or a scanner. Both options connect to the OBD port on the vehicle, which is typically located under the dashboard. The code reader simply displays the error codes. It may also provide a brief description of the error. A scanner offers more detailed information. Besides reading the error code, it may offer information related to manufacturer-specific error codes. Scanners and code readers are mostly used for troubleshooting. They display an error code, allowing you to determine the possible cause of the issue in question. When the issue is resolved, you can use the OBDii tool to clear the code. OBD2 scanners are available as wired or wireless devices. The wired devices are handheld units. A wired OBD2 scanner will have a long cord with a plug that connects to the OBD port on the vehicle. It should also have a small screen for displaying the error codes. Wireless scanners eliminate the need for a cord. A wireless OBD2 scanner comes equipped with a wireless Bluetooth transmitter that plugs into the OBD port on the vehicle. The transmitter then connects to either a mobile device or a handheld receiver. With the latest wireless OBD2 scanners like the Bluedriver, you install a mobile app on your smartphone or tablet. You can then connect your phone or tablet to the wireless transmitter via Bluetooth. You can view diagnostics, monitor your vehicle, and search for information about the error codes. With some wireless scanners, you can save logs and track your vehicle with GPS. If you want to easily search for information online to help you troubleshoot error codes, you may prefer the wireless scanner. It also provides detailed information, logs, and GPS tracking. If you simply want to view the error codes and do not care about these extra features, a wired OBD2 scanner is still a useful device. Connecting an OBD2 scanner to your vehicle is a simple process. With the engine turned off, plug the connector into the OBD port, which is often located under the dashboard on the driver’s side of the vehicle. However, in some vehicles, the port is concealed behind an ashtray or in a compartment. The OBD-II standard uses a 16-pin connection. The vehicle has a female OBD-II port while the scanner has a male 16-pin OBD-II plug. After plugging the connector into the port, turn the key in the ignition to give power to the scanning tool. When the scanner turns on, you may need to enter the VIN for your vehicle. The device should now be connected and ready to scan your vehicle. On some devices, you will need to press a button or navigate a menu to begin scanning for error codes. The scan typically takes seconds. Many wireless OBD2 scanners use a Bluetooth connection to send information from a transmitter to your smartphone or tablet. The transmitter is a small device that fits in the palm of your hand and features a male plug on one end. You plug this into the OBD port on your vehicle. A mobile app is then installed on your smartphone or tablet. After opening the app, you may need to register an account or enter your vehicle information. For example, you may need to enter the VIN to verify the vehicle. Make sure that Bluetooth is enabled on your mobile device. You need to allow your device to search for and connect to Bluetooth devices within range. It should then automatically detect the Bluetooth transmitter plugged into your OBD port. You should then be able to view all the OBD error codes and monitor your vehicle from the mobile app. Diagram courtesy of www.outilsobdfacile.com – read more about DTCs on their site! The error codes are five-digit codes that represent specific errors. The first digit is a letter that identifies which system is experiencing trouble. The error may be related to the powertrain, body, or chassis. There is also an undefined category used for various systems such as the AC system. The second digit is either zero or a one. A “0” indicates a generic code while “1” refers to a manufacturer-specific code. Manufacturers can create their own error codes for specific system issues. Luckily, the OBD-II standard ensures that all vehicles equipped with an OBD-II system use a universal language for providing systems diagnostics. The third digit refers to the sub-system. The error code may be related to the emission management system, injector circuit, ignition, vehicle speed, transmission, or other sub-system. The remaining digits are used to identify the error. Wireless scanners may give you an explanation of the error code while the most basic scanners simply give you the code and require you to look it up online. OBD-II is the standard used by all vehicles manufactured since 1996. If you have a vehicle made before 1996, you may need an OBD1 code reader to view the onboard diagnostics system error codes. Onboard diagnostics have been used in automobiles since the 1980s. These early systems included manufacturer-specific scanning tools and error codes. The OBD-I code readers were costly for consumers. OBD-II is a universal standard for onboard diagnostics systems, allowing you to use one device to read the OBD-II interface on any make or model of vehicle. FoSeal – WiFi tool that works with Android and iPhone. Perfect for first time users. Lowest priced out of the bunch. A solid option! The only downside is the WiFi connection can be finicky and it’s a cheaper scanner, so you might not get the diagnostic features you need. BAFX – Bluetooth connection works with Android (no iPhone). Another low-priced scanner that works for pros and DIY’ers alike. Does everything the Foseal does, except over Bluetooth which is much better than WiFi. No iPhone support! 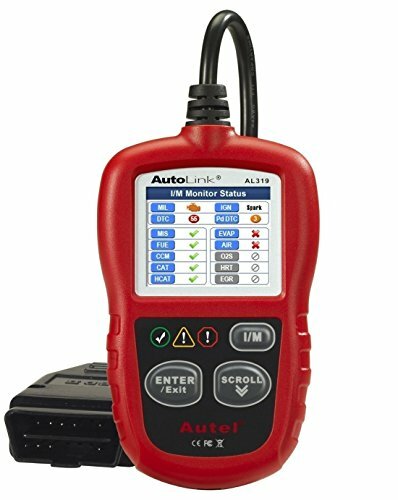 Autel 319 – Bare bones corded scanner with limited functionality but works great for diagnosing common engine issues. No need to use a smartphone because this is an all-in-one unit. No support for Enhanced Diagnostics, ABS/SRS, but if you need those features, get the Autel 619. 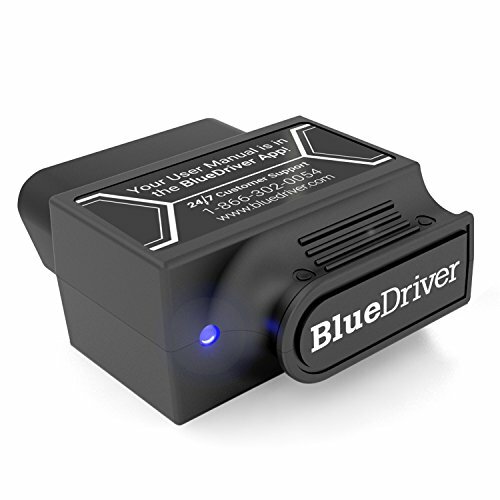 BlueDriver – When it comes to wireless OBD2 tools, this is the best. It works over Bluetooth and supports both iPhone AND Android. Also reads enhanced codes like ABS, SRS and supports live data stats. If you can afford it, choose this one! However, having your very diagnostic scanner is cheap insurance against dishonest mechanics. Best of all, a scan tool will also help you to better understand the intricacies of a modern engine. Should I Use Synthetic or Conventional Motor Oil in My Car?